Regress? React? Resolve? – Time to Resolve! On 24th February 2016, Action Mental Health will be hosting Northern Ireland’s first Mental Health Summit. 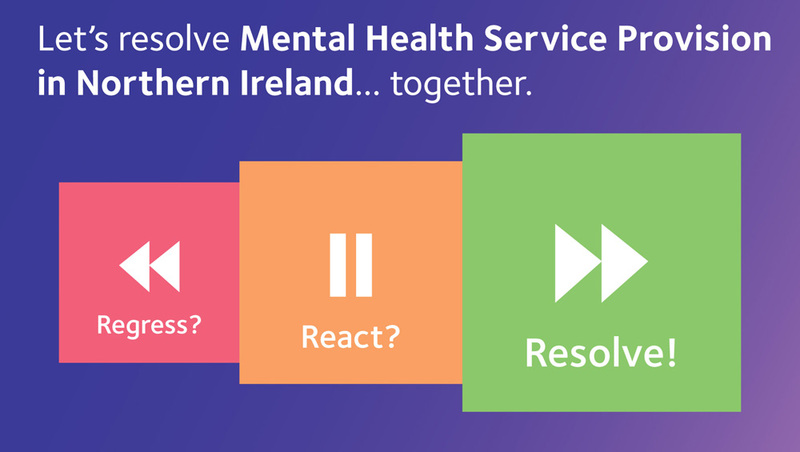 The event will focus on the future of our mental health services and provide delegates the opportunity to influence the future of Departmental Mental Health Strategy in NI. Through this process we aim to prioritise Mental Health in the next Programme for Government and gain a commitment to resolving mental health service provision during the life of the new Assembly. The Mental Health Summit is Northern Ireland’s most senior-level, private networking debate forum focusing exclusively on improving our Mental Health Services. This invitation-only, one day summit will bring together representatives from the Department of Health, Department of Justice, Mental Health Professionals, MLAs, Commissioners, Voluntary and Community Sector reps and service users. The summit will focus on key themes resulting from AMH’s Recent research Project – Regress? React? Resolve? – An evaluation of mental health service provision, published in October 2015. We are now in the ‘Resolve’ phase of our project. Having launched the Queens University report in October, we have briefed departmental officials, and widely publicized our findings. Now it is time to move on and take the findings of the report, and drive forward into the process of influencing the next Programme for Government. The summit will enable us to demonstrate what needs to be done, how it can be achieved and the impact of concerted action on resolving the deficiencies in mental health policy in Northern Ireland. The DHSSPSNI has committed to considering all of our proposals in advance of the forthcoming programme for government. All attendees will hear a presentation on the detail of the report, hear the Minister for Health, Simon Hamilton’s response and hear from Natasha Devon, MBE, mental health champion for Schools across England. Attendees will be participants in a workshop-style, interactive, well-moderated group discussion. We are looking for participants who will voice opinions, raise hard questions, and contribute to a working document which we will be submitting to the Department of Health and Health Minister. It’s time to stop the drift in mental health services, to tackle under investment, fragmentation and lack of direction. Come to the Mental Health Summit for Northern Ireland and be part of the drive to Resolve mental health service provision. 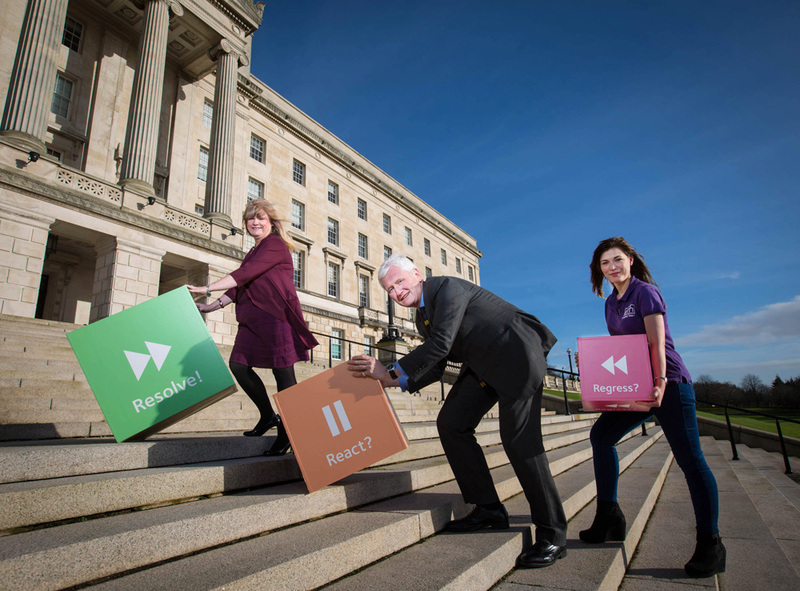 Making the big push to resolve Mental Health Service Provision – Chair of the Health Committee Maeve McLaughlin MLA, AMH Chief Executive David Babington and AMH Communications Officer Amy Black.